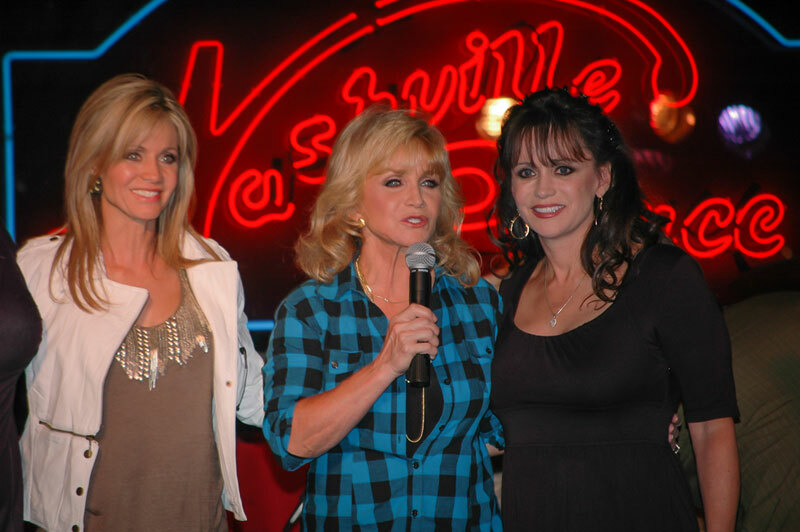 Barbara Mandrell is one of the most multitalented and widely honored artists in country music. She has a distinctive, throaty, powerful voice, despite her tiny 5-foot, 2-inch frame. In the 1970s and 1980s, she charted a series of top-10 hits. Some were straight country in style, while others had more of a pop or soul groove. Barbara Mandrell plays a range of instruments, and she has starred in a number of television shows. Among her many honors, she was the first artist to win the Country Music Association’s (CMA) Entertainer of the Year award twice. Barbara Ann Mandrell was born in Houston, Texas, on Christmas Day, December 25, in 1948. Her father, Irby, was a police officer and musician. Her mother, Mary Ellen, was also a musician. The couple had two daughters younger than Barbara, named Thelma Louise and Ellen Irlene. All three sisters began playing musical instruments when they were very young children, with Barbara developing skills on accordion, steel guitar, saxophone, banjo, and other instruments. When Barbara was 11 years old in 1960, her talents were discovered by guitarists Chet Atkins and Joe Maphis while she was attending a music trade convention in Chicago with her father. Maphis made the youngster part of his show in Las Vegas. Barbara’s father would serve as her manager for much of her career. A video of the Mandrell sisters showing off their instrumental skills around 1980. At age 13, Mandrell appeared on the television program Five Star Jubilee, drawing much attention to her musical abilities. During this time, she also toured and played steel guitar with The Johnny Cash Show, giving her the opportunity to back up such singers as Patsy Cline and George Jones. Mandrell, her sisters, and their parents next formed the Mandrell Family Band. The band’s drummer, Ken Dudney, married Barbara in 1967. The couple would have three children. In 1969, Mandrell was signed by Columbia Records in Nashville. Her first hit, “I’ve Been Loving You Too Long (To Stop Now),” was a remake of an Otis Redding rhythm-and-blues/soul song. Her first song to reach the top 40 was “Playin’ Around With Love,” in 1970. She recorded a number of duets with David Houston, including “After Closing Time” in 1970 and “How Can It Be Wrong (When It Feels So Right)” in 1972. Her 1973 song, “The Midnight Oil,” generated controversy as the first country hit sung from the perspective of a woman cheating on her husband. 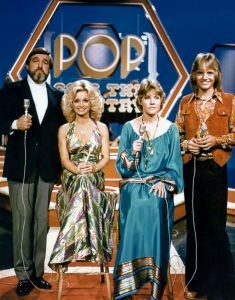 Barbara Mandrell alongside Ralph Emery and the Carpenters on the “POP Goes the Country” TV show. Mandrell began recording for ABC/Dot in 1975 and then MCA Records in 1978. She recorded most of her popular songs with these labels. These included “Standing Room Only,” “Sleeping Single in a Double Bed,” (her first number-one song, in 1978), “(If Loving You Is Wrong) I Don’t Want to Be Right” (her only single to crack the top 40 on the pop charts, in 1979), “Crackers,” “Wish You Were Here,” and “Years.” Perhaps her most popular song has been “I Was Country When Country Wasn’t Cool,” from 1981. George Jones makes a guest appearance near the end of the song. The CMA named Mandrell the Entertainer of the Year in 1980 and again in 1981—surprising many people in the industry who had assumed that this award could not be given to the same individual more than once. The CMA awards are only two of about 75 major honors that Mandrell has received during her career. Others have included Academy of Country Music, Grammy, American Music, and People’s Choice awards. In 1982, she showed another side of herself by releasing an album of gospel songs titled He Set My Life to Music. Mandrell singing “Sleeping Single in a Double Bed” on Hee Haw in 1978. 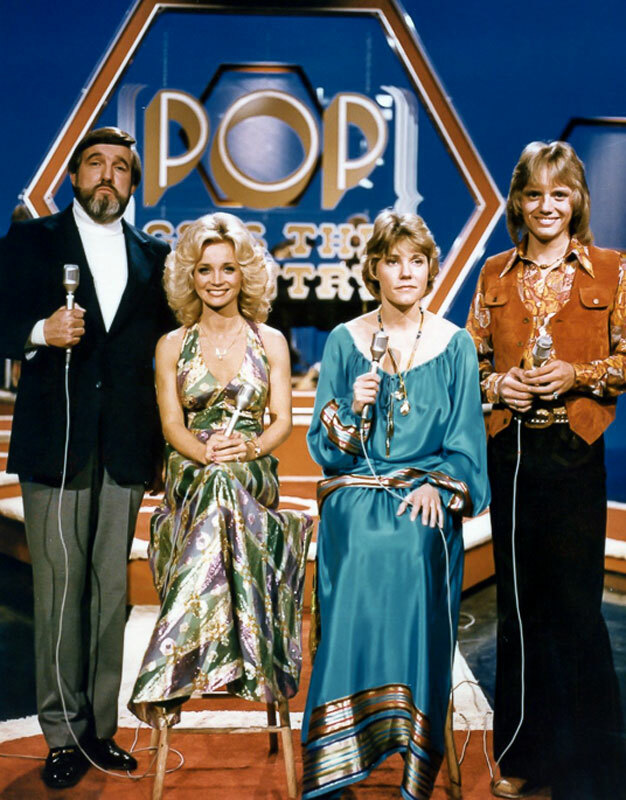 Mandrell’s television career began in 1980 with the variety show Barbara Mandrell and the Mandrell Sisters, which ran for two years. Other television shows that she appeared in include Touched By An Angel; Diagnosis: Murder; Dr. Quinn, Medicine Woman; Baywatch; Walker, Texas Ranger; Rockford Files; The Commish; Empty Nest; and Sunset Beach. 1984 was a momentous year in Mandrell’s life. She released a well-received album of duets with Lee Greenwood titled Meant for Each Other, which yielded such hits as “To Me” and “It Should Have Been Love by Now.” She opened the Barbara Mandrell Country museum on Music Row in Nashville. On September 11, 1984, she was seriously injured in a head-on automobile crash in which two of her children were riding with her. The kids received only minor injuries, because Barbara had made sure they were wearing seat belts. The driver of the other car, who caused the crash, was killed. Mandrell’s injuries required a year and a half of rehabilitation, during which time she did not work. Mandrell officially retired in 1997. That same year, CBS broadcast a television dramatization about her life based on her 1990 autobiography Get to the Heart: My Story (written with George Vecsey, Bantam Books). In 1999, she was inducted into the Country Gospel Music Hall of Fame. In 2000, she was presented with the Academy of Country Music’s Pioneer Award. In 2009, she was inducted into both the Country Music Hall of Fame and the Steel Guitar Hall of Fame. Another honor came in 2014, with her induction into the Musicians Hall of Fame. A multi-artist album titled She Was Country: A Tribute to Barbara Mandrell was released by Sony BMG Music in 2006. It featured a variety of artists singing songs made famous by Barbara, including Willie Nelson, Shelby Lynne, Kenny Chesney, Reba McEntire, LeAnn Rimes, Brad Paisley, and Gretchen Wilson. Willie Nelson and Shelby Lynne singing “This Time I Almost Made It” from She Was Country: A Tribute to Barbara Mandrell. In 2010, Mandrell’s former home, the Fontanel Mansion near Nashville, was opened to the public as a tourist attraction. The site includes a restaurant, wine-tasting room and distillery, amphitheater, record company, inn, forest, and gardens. Fontanel is located within just a few miles of the Willie Nelson and Friends Museum. You can read more about this unique attraction on their website at fontanel.com. Today, Barbara enjoys spending time with her husband Ken, gardening at their home outside Nashville, following the careers and lives of her children and their spouses, and being a grandmother to her grandkids. She is also a big fan of the Nashville Predators hockey team, and she’s an advocate for the humane treatment of pets. 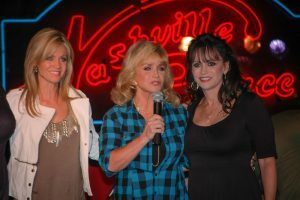 You can learn more about Barbara Mandrell and her career from the following links including her website, biography, and discography.